Revelation is one of those herd sires that is a game changer. He has been a blessing to our farm. His cria are some of the nicest greys we have ever produced. We are taking offers on our half ownership of Revelation and have some offspring of his on our farm that are also offered for sale. Don't miss this opportunity to add one of the greatest grey herd sires to your herd sire row! 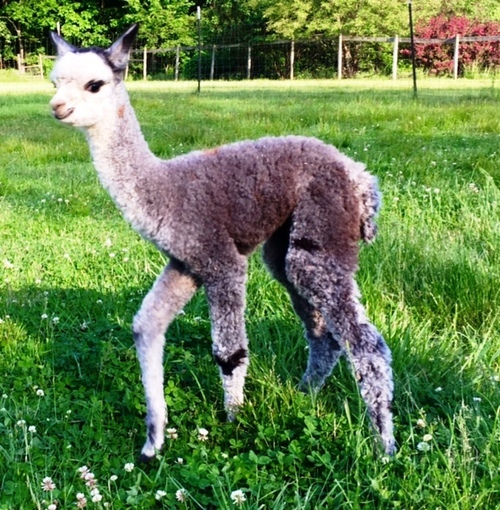 JLFA Revelation's Peruvian Picabo is a gorgeousness FULL PERUVIAN, MEDIUM ROSE GREY female. She has the "look" with the fleece and phenotype to go with her. 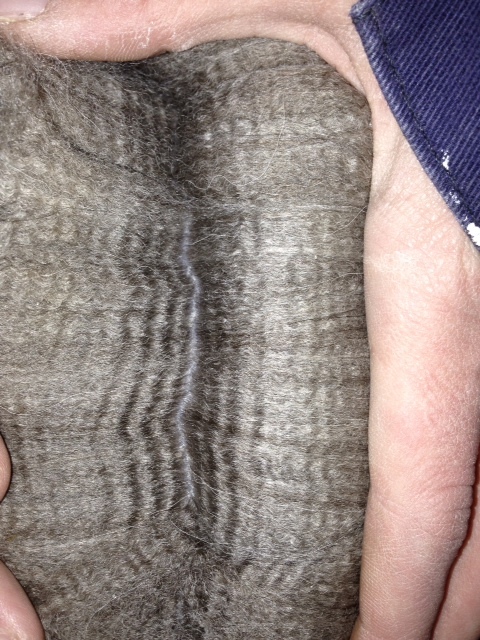 Picabo has a beautiful solid coloring throughout her fleece. 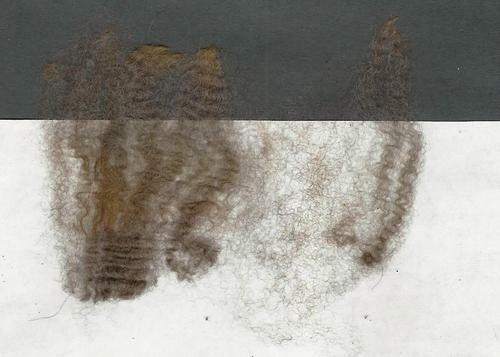 The fleece show excellent consistency in the crimp style and micron across the blanket. 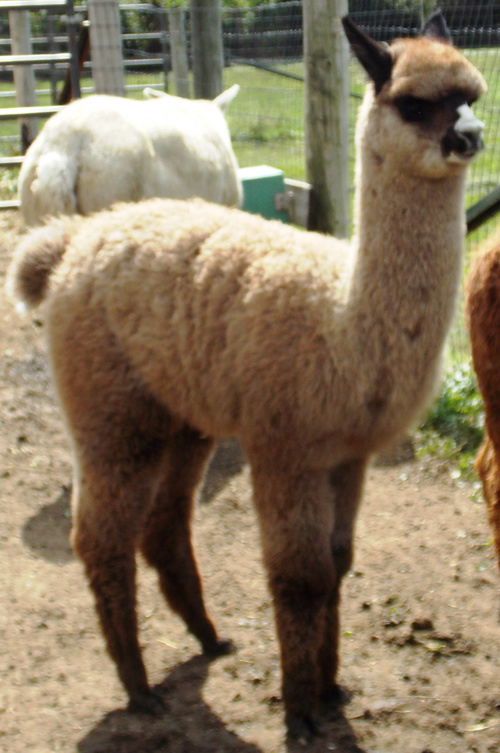 Picabo is the product of breeding our beautiful Pandora with Legend's Peruvian Revelation of KPR! The outcome is exactly what we were hoping for both in color and fleece! That should come with no surprise consider her lineage. 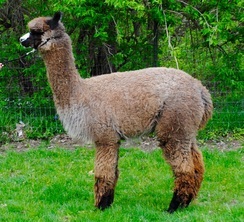 Picabo's Dan is non other than JLFA Michelangelo’s Peruvian Pandora our FULL PERUVIAN, ½ ACCOYO, MEDIUM ROSE GREY female. Check out her fleece! Miraculous! Pandora has blinding brightness, tight tiny crimps, amazing consistency, wonderful handle, and extreme staple length, not to mention phenomenal fineness and density. Her conformation is also terrific - well balanced with excellent proportions and straight lines. The Luciano/Michelangelo genetic cross is proven success. Pandora’s full sister is JLFA Michelangelo’s Peruvian Panthia, who is a 16x BLUE and 14x BANNER winning gal. Picabo's Sire is Legend's Peruvian Revelation of KPR. Revelation is a stunning full Peruvian light silver grey herd sire. A judge commented that Revelation is one of only a couple "true" silver grey alpacas he had ever seen. 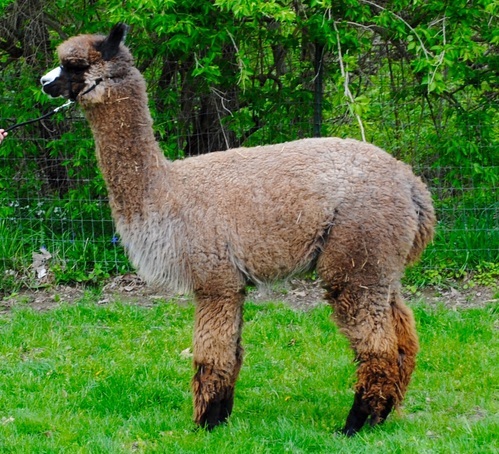 Take a look at Picabo's 2016 female cria Vexation on our site!